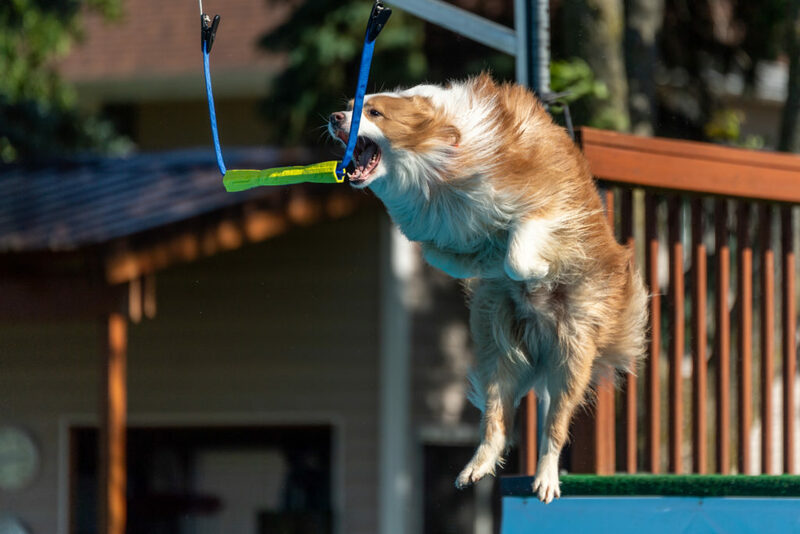 Air Retrieve and Fetch It are essentially the same game. Just depends on what organization you are competing in. The game is to remove the hanging bumper by either the dog grabbing it or just knocking it off. The bumper is hung 2′ above the dock and starts at either 6′ or 10′ from the dock (depending on the organization). The bumper is moved out in 1′ increments. Please see NADD’s Air Retrieve Rules or UKC’s Fetch It Rules for further details. Toys – bumper is supplied by Southtown K9.